Classroom magazines have become an invaluable resource in my classroom for exposing my students to informational texts. Our language arts curriculum lacks quality non-fiction selections. Classroom magazines, such as Time For Kids and Scholastic News have been great for exposing my students to engaging and current non-fiction material. However, I use to struggle with the best way to work them into my language arts block. This post explains what I have done to make the most of all those classroom magazines. Each year, I am so excited when our magazines start to arrive. However, they use to quickly start pile up, week after week, and I found myself squeezing them in whenever I could. Looking back, I realize that I was using them as filler. My challenge this year was finding a way to integrate them into my language arts program in a way that was more meaningful and focused. 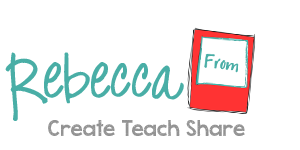 So, here are several ways that I have been using magazines in my classroom this year. At the beginning of the year, we first spent a lot of time focusing on the parts of a magazine, particularly the text features. We talked about each feature and students identified them in their magazines. Then we talked about the information that can be gathered from different text features, and how they are used to add meaning to the text. Later, my students started “collecting” text features in a packet. We wait until the end of the week, when we are done with the entire magazine, then they cut out the different text features and sort them in their packet, adding to their “collection” each week. They love this!! After several weeks of reading the magazines as a class, we began to focus on the different text structures. Instead of simply summarizing or identifying the main idea, we began to take a closer look at the structure of each text. We talked about the different structures and identified signal words for each type. Now when my students read and respond to each article, there is an emphasis on the particular text structure. Now that my students are comfortable with text features and structures, we put it all together to practice close reading. My students use a checklist to read through a text, at least 3 times to identify text features and structure, to find the main idea and evidence, and to truly comprehend what they are reading. Close reading helps students to dig deeper and to understand what they are reading in different ways. Reading classroom magazines exposes my students to new ideas and new vocabulary that they might not otherwise be exposed to. They use context clues to determine the meaning of each word. Then they define and draw pictures for each new word to show their understanding, and to help visualize the meaning of the new words they learn. They have developed quite a collection! Lastly, I use magazine articles as meaningful topics for class discussions and writing assignments. 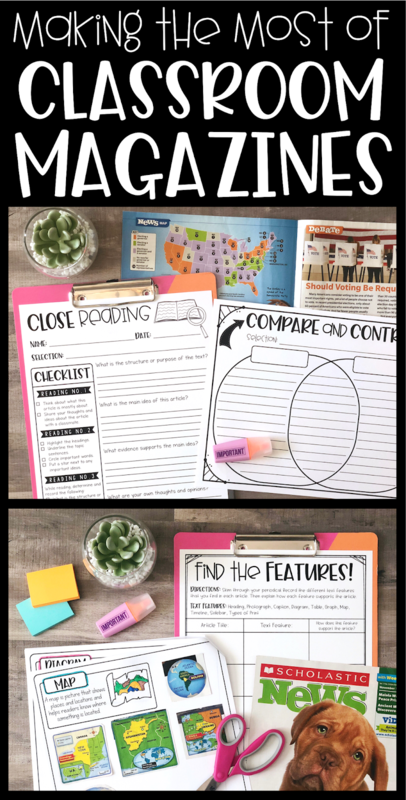 Sometimes, after reading a debate or opinion piece, my students will share their opinions with their classmates, then write an opinion essay on the topic. I also ask them to choose articles to do additional research on, in order to produce an informative writing assignment. It is so important that students use texts to write, and that they learn to refer to texts when providing evidence in their own writing and conversations. 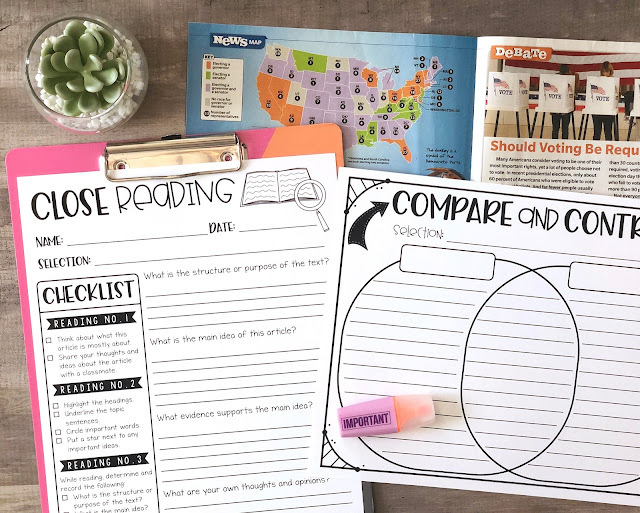 The current events and ideas from classroom magazines serve as a great springboards for both conversation and writing. 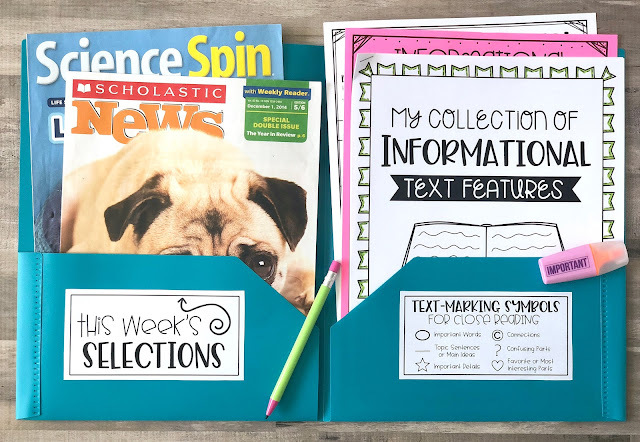 I like to have my students organize all of their materials in reading folder, so that they have all the tools they need when working with non-fiction texts!! 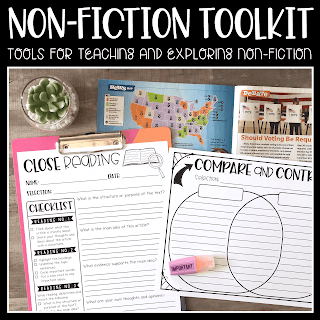 If you would like to learn more about some of the resources from this post, check out my Non-Fiction Toolkit in my teacher shop by clicking on the pic below.